Federer defeated Italy's Fognini 6-4 6-3 and will now take on Japan's Kei Nishikori for a place in the semi-finals on Friday. 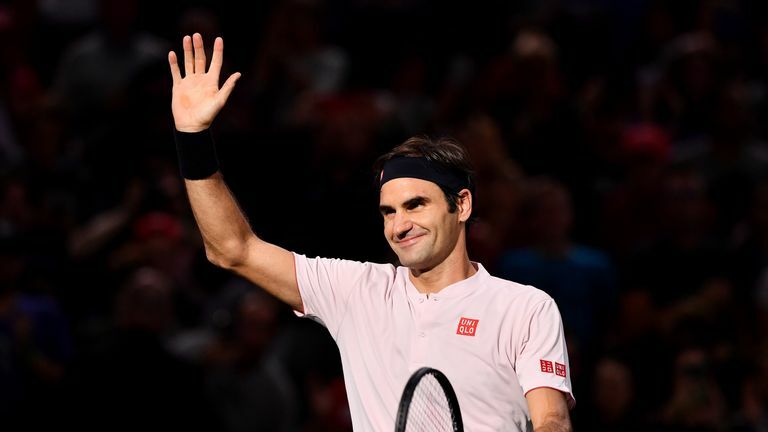 Federer, 37, who captured his 99th trophy on home ground in Basel last week, and although the third seed was not quite at his ruthless best, he still did enough to see off the extravagant Fognini. Federer broke twice in the first five games, prompting the explosive Fognini to hurl down his racket in disgust, but the Italian did claw a break back before the 2011 Paris champion made slightly heavy weather of serving out the set. After some uneven tennis in the second set, Federer completed the routine job with a fourth break of serve, this time to love as Fognini finished with a double fault, to wrap up a 73-minute win. The 20-time Grand Slam champion is playing the Paris Masters for the first time since 2015 and is bidding to clinch the tournament for just the second time after winning it seven years ago. Nishikori defeated Anderson 6-4 6-4 to gain revenge for his Erste Bank Open final defeat to the big South African in Vienna. He has a 6-2 losing record against Federer with his most recent win over the Swiss coming in 2014.